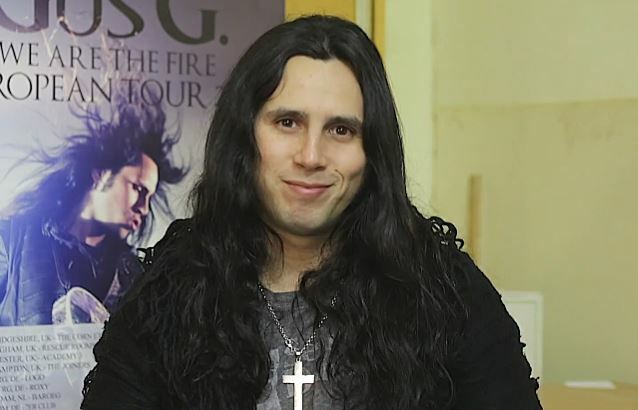 GuitarMania.eu conducted an interview with Greek guitar virtuoso Gus G., well known in rock and metal circles for his work as Ozzy Osbourne's guitarist and as leader of his own band FIREWIND, before his February 28 concert at Szene Wien in Vienna, Austria. You can now watch the chat below. 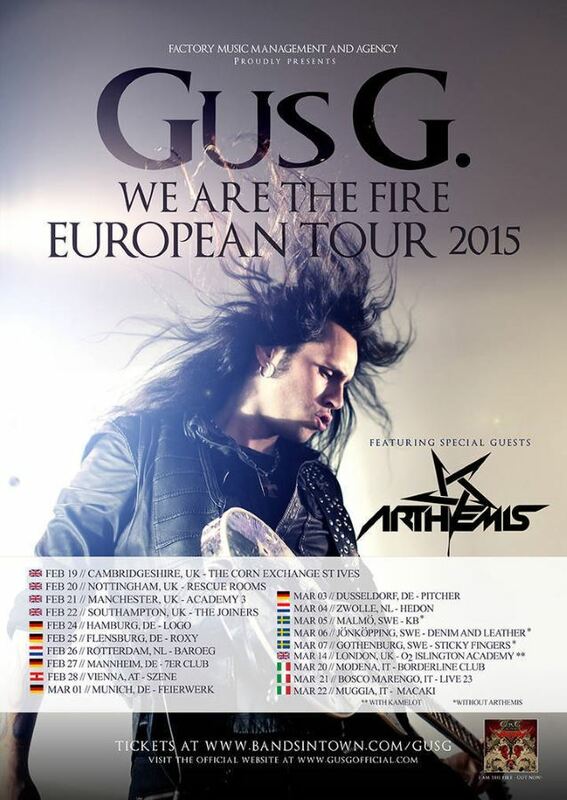 Speaking about the progress of the recording sessions for his second solo album, Gus said: "We just finished tracking the drums — actually a couple of weeks before the [European] tour started. And when this tour finishes up, I'm gonna go back and work on the guitars, start recording the guitars, and we are looking at mixing this spring — after I finish this, going straight into mixing. Hopefully it's gonna be finished by… sometimes this summer. I don't know when. Hopefully in June or July. We'll see." Asked about the musical direction of his next solo CD, Gus said: "You know, it's a continuation of the first one, really. I mean, it's still gonna be… It's gonna be probably more modern rock stuff this time. Still in the hard rock vein. Some songs are a bit more riff-orientated this time, some more riffing in there. There's still gonna be a couple of instrumentals, for all the guitar freaks out there — some shredding. And [there's] gonna be some guests again, but lesser guests this time. I've been writing with a close group of people that I work with and I play live with. For example, Mats Levén [YNGWIE MALMSTEEN, TREAT, CANDLEMASS] is gonna be involved again in the songwriting. And I'm writing with Jacob Bunton [LYNAM, ADLER], who is a guy from America, who sang on a song on the first album, but now we wrote five songs together for this one. And he's got an amazing voice, and he's a talented songwriter. Yeah. And maybe a couple of more people."